In 2004 Keith was awarded a BSc (Hons) in Zoology from University College Dublin completing a thesis titled “Nutrient trade off: A case study in caddis fly net building behaviour”. 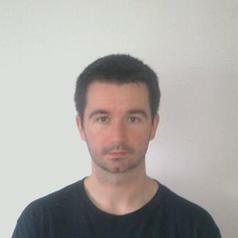 Keith then completed an MSc degree in Bioinformatics awarded by Dublin City University with a thesis titled “Reconstruction of the ancestral mammal genome” this project used comparative genomic techniques and sequence data downloaded from public database to identify regions of ancestral genomic sequence, these sequences were then combined to create a hypothetical proto-mammal genome. After this Keith began working for Quintiles in 2006 as a Clinical Data Manager working on a variety of studies at every stage of the drug production process. In 2011 Keith returned to University College Dublin to complete an MSc by research with a thesis titled “The evolution of microbial resistance in Vespertilionidae bats through analysis of Toll-like Receptors”. This project amplified the TLRs 1-10 in 16 distinct bat species and then performed detailed phylogenetic and selective pressure analysis on the novel sequences generated. Keith’s Phd focused on development and application of pseudotype-based cell-entry assays for emerging bat viruses and seeks to develop novel pseudotype viruses to assess the sero-prevalence of emerging viral pathogens within the global bat population.